Pop Up Toy - this toy has been loved by all of my children, it never fails to interest them. Object Permanence Ball Push - this would be one of Otto's absolute favourites right now. Matchstick Threading Toy - we used a cheese shaker with large holes (like this one) and coloured matchsticks. I introduced this to Otto at 12 months. Object Permanence Box with Tray - this is easy for Otto, he started using it around six/seven months, but he still loves it and uses it repeatedly. Car Tracking Toy - I introduced this to Otto at 12 months and I can see that it will be a favourite for many more months to come, Otis loves playing with it too! Coin Box - Otto uses this multiple times every single day, he loves it. Multiple Lid Sorting Box - this changeable lid means it grows with the child, you can start with one shape and move up to all four. 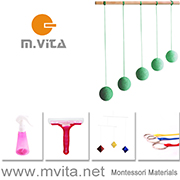 Ball Tracker with Object Permanence Box - this would be in our top three most used toys. Metal Cups - these are interesting open-ended materials, good for stacking. We use 2.5oz stainless steel condiment cups like this. Music Basket - this is always a favourite and stays on the shelves, isn't rotated out. Every day he will also play with balls of various sizes, his hand-held mirror, open-close basket and definitely play silks. You can see that Otto really likes object permanence activities and imbucare type boxes. 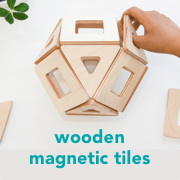 All of these are fantastic for building concentration, coordination and fine motor skills!